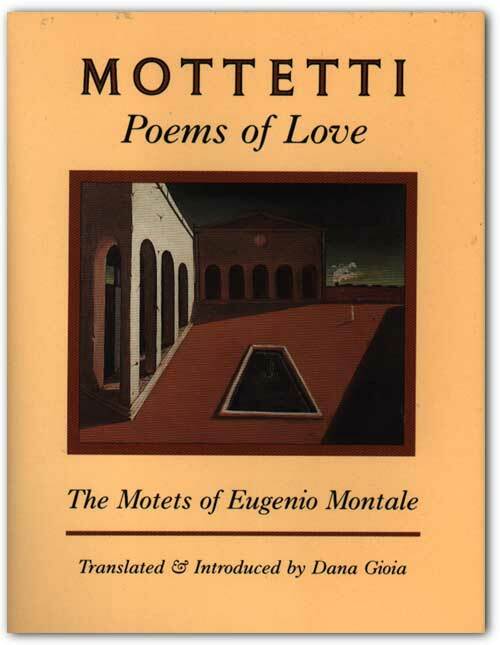 Dana Gioia’s translation of Mottetti: Poems of Love, by Eugenio Montale, was published by Graywolf Press in 1990. Mottetti marked the first time this important sequence of love poems by Nobel Prize-winner Montale appeared in the United States in its own edition. You know this: I must lose you again and cannot. dark against the gates of Genoa. like a forest in the dust of evening.